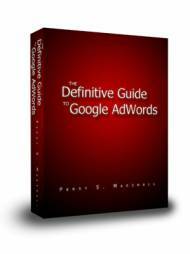 Super Affiliate Handbook - “The Super Affiliate Handbook” by Rosalind Gardner is, as the title also says, a handbook for affiliate marketers. She knows what she is talking about and I highly recommend it! Affiliate Blogger Pro - This affiliate marketing course is the bible of affiliate marketing. I have met Rosalind Gardner in person and fully put my name behind her. If you want to learn how to make money online with affiliate marketing, this online course is the only one you'll ever need. Affiliate Marketing Sweetie - Don't know a thing about affiliate marketing yet? This system shows you exactly how to dominate your market, choose the products that your readers are dying to have and work when and how you want to. Affiliate Manager Sweetie - Startup and manage your own affiliate program to recruit your own sales force that you don't have to pay until they produce results. This course has been dubbed the "Step-by-Step No-Fluff Guide to Affiliate Management". Semiologic - One of the best addon's for WordPress that I've ever come across. Beginner to Blogger - Beginner to Blogger is a 4 week e-course that is an enjoyable journey to get you on the right blogging path. Let the fear of blogging pass as you start your blog the right way. Make Money on eBay - Not an eBay member yet? Easily sell online and make money with your products. The Insider Secrets to Email Marketing -- Version 2006 eBook - This 390-page printable eBook is literally an A-to-Z guide, crammed full of step-by-step instructions, examples, and case studies of absolutely everything you need to know to explode your email campaigns. Internet Secure - This is what we use here at Mediamage. Feel free to contact me directly for more information. 1st Manager - This is what Mediamage uses for their client projects. Stockphotos - A great site to find images to use in your webdesign. The Shopping Cart Queen - Learn everything you ever needed to know about 1shoppingcart with Christina Hills. Mach5 FastStats Analyzer - Blaze through megabytes of web server log files and get the detailed web traffic statistics you need. ClickTracks Appetizer - This free web tracker has many popular features from their professional Clicktracks Analyser (see below) like overlay view, path view, page analysis and basic visitor labeling. ClickTracks Web Analytics - ClickTracks is a web analytics program that literally shows marketers why visitors do what they do. Perfect for those interested in PPC marketing, SEO, web design, usability, or those with eCommerce storefronts—including direct support for Yahoo Stores and Miva Merchant. Visual interface, insightful reports, affordable price point. Google Sitemaps We use Google Sitemaps to inform Google's crawler about all your pages and to help people discover more of your web pages. DHTML Menu Sothink - This is the navigational menu builder that Tawnya highly recommends to her clients. Internet Marketing Training Systems - For the Do-It-Yourselfer! This is the ultimate package and quickest way to learn how to bring traffic to your website that converts into cash for you. Highly recommended! The "Internet Entrepreneur Club" is designed to bring internet marketers together with Derek Gehl to explore and learn the latest internet marketing techniques. The Web’s most POWERFUL online Internet marketing community, where members receive UNLIMITED feedback from Derek Gehl’s team of Internet business-building experts, plus access to Derek’s exclusive monthly “Internet Business-Building Workshop” tele-seminar. Tawnya is a member too! The "Internet Millionaire's Protégé Bootcamp Videos" recreate Derek Gehl's ENTIRE two-day Internet marketing "bootcamp" seminar... learn Derek's proven step-by-step system for starting, growing and promoting an online business right from their living rooms! SEO College - If you want SEO certifications, check out this training center online. 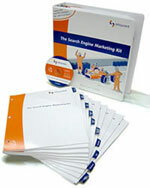 They offer very niche and current SEO training. For persons serious about a career in the fast-paced search industry, we also offer industry certification in search engine optimization (SEO), Pay Per Click advertising (PPC) and Search Engine Marketing (SEM). OnlineBizU.com - Online Business Coaching helping you hardness the power of internet marketing.